The predicted City storm fails to materialise as an encouraging West Ham performance almost leads to a major shock. It is an unusual sensation to have finally lost the game but still feel strangely positive about the performance at the Etihad Stadium yesterday. I read that the odds at start of play of West Ham losing by eight goals were shorter than those for a single goal defeat. Yet the drubbing that many (including myself) had predicted was not forthcoming. Despite a lengthy list of absentees West Ham managed to fashion themselves into the best approximation of a football team that we have witnessed so far this season. 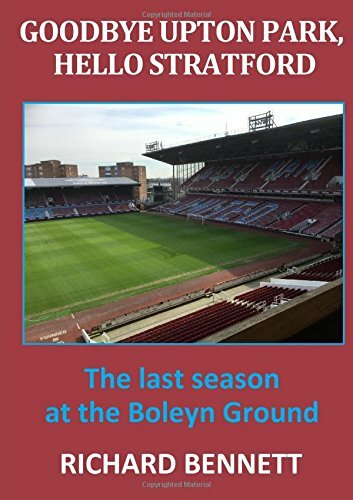 For the most part the tactics were spot on in preventing Manchester City from getting into their rhythm and were reminiscent of the smash and grab approach that reaped such unexpected rewards in the early days of Bilic’s inaugural season. In the first half City were limited to speculative long shots and that the game was ultimately lost to a pair of relatively scruffy goals should not detract too much from the many positives on display. Without doubt there is much to admire about the way that Pep Guardiola has got his Manchester City playing. Apparently his match-day squad cost in the region of £550 million in transfer fees with the starting eleven costing an average of £35 million per player. A bottomless transfer budget is not a new phenomenon for modern day City but under Guardiola the quality and style of play have reached new levels. It is a shame, therefore, that he feels the need to come across so petulantly as a winner. Of course clubs with fewer riches will seek to stifle the fluidity of his team but why the need to make stuff up about the opposition having “ten men in the box”. West Ham’s approach was pragmatic rather negative and his comments were as wrong as they were unnecessary. . A little self-awareness and humility might go a long way for Guardiola. For the first time in many months our players looked like they knew what they were supposed to be doing and what was expected of them; attacking and defending as a team for once. Not only that but there was a demonstrable game plan which the players stuck to it despite the make do and mend look to the line-up. Everyone played their part and as well as a spirited defensive display there were further chances to to add to Angelo Ogbonna’s fine headed goal for Michail Antonio, Manuel Lanzini and Diafra Sakho . Possibly fitness told at the end but it was great to see players on their toes for a change and giving it their all. In truth I am not sure that many of the absentees would have performed better than their replacements although further injuries to Cheikhou Kouyate and Antonio could be cause for concern. Within a solid team display there were stand-out performances from Adrian and Declan Rice, an honourable mention for Arthur Masuaku and strong leadership from Pablo Zabaleta. Not only did Adrian make some fine saves but hw instils a far greater sense of confidence in the box and in the air than Joe Hart. It would be a travesty if he does not keep the shirt for the upcoming games. Rice gave a mature and assured display in the makeshift backline suggesting that he needs to be given an extended run in his proper central defence position. There were some suggestions that he might have prevented Silva’s winning goal but, for me, the responsibility was that no-one tracked Silva’s run into the box, after he had played the ball to De Bruyne, rather than it being Rice’s failure to cut out De Bruyne’s fine pass. Masuaku was once again a willing runner demonstrating an eclectic mix of exceptional and over-elaborate footwork. The levels to which organisation and fitness had fallen under Slaven Bilic really are quite shocking and the hope is that that these can be reversed before it is too late. The four games played under David Moyes have yet to follow any discernible pattern or consistency; two poor efforts at Watford and Everton interspersed with encouraging signs at home to Leicester and at City yesterday. The games against Chelsea and Arsenal will be useful in building understanding and momentum (even if we cannot expect too many points) but after that we need to embark on some serious point collection in the games against Stoke, Newcastle and Bournemouth if survival is to be assured. While there were many positives to be taken from the defeat to City it will be time very soon to turn encouragement into something more tangible. As it is West Ham have never had fewer points after fifteen games of a Premier League season and those alarm bells need to be silenced immediately. Previous Previous post: Hammers To The Slaughter: Against All Odds At The Etihad?